A foundation of global strategic stability is regarded by a number of states as a prerequisite for progress on nuclear disarmament. In today’s troubled world, efforts to achieve such progress are seen as misguided, if not futile. An alternative view is that the continuing existence of high numbers of nuclear weapons is a factor that contributes to the unsettled security environment. This perspective draws on a range of concerns about possessors of nuclear weapons—stalled efforts to reduce nuclear arsenals, increased investment in modernising those arsenals, apparent readiness of leaders or aspiring leaders to use or threaten to use nuclear weapons, and so on. Compounding this situation is the absence of trust between nuclear-weapon possessors and non-possessors and the abdication of responsibility by the Conference on Disarmament for negotiating on nuclear disarmament (and other) issues. 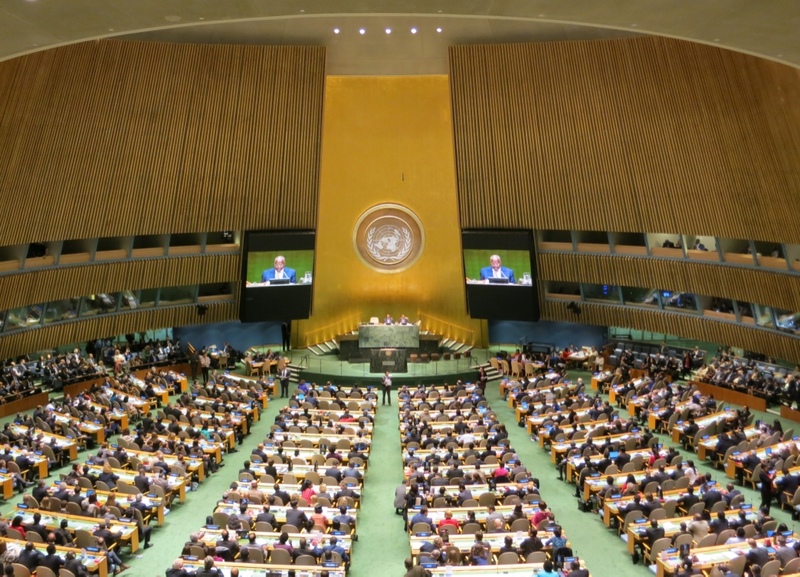 Proponents of these positions will be at loggerheads this month in the UN General Assembly-mandated Open-ended Working Group on taking nuclear disarmament forward (OEWG). 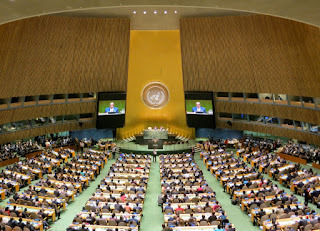 The OEWG will conclude its work on 19 August and account for itself to the UNGA in October. Its respected chair Ambassador Thani Thongphakdi of Thailand has already circulated a draft report for the OEWG’s consideration. Meanwhile, the beleaguered Conference of Disarmament gears itself up for making its own report to the UNGA. By the way, it is curious that some of those states that see the current international security environment as being unfavourable for progress on nuclear disarmament remain hopeful that the CD can in the same security situation nonetheless overcome its 20-year deadlock over how to negotiate issues of comparable strategic complexity. In any event, perhaps in proposing a new topic (see our previous post), Russia is trying to get the Conference to side-step this impasse and turn instead to an issue of common concern—i.e., terrorism (in Russia’s proposal, relating specifically to acts of chemical and biological terrorism). Another comparatively neutral option for the CD is to re-examine its ‘working methods’. For example, the idea of extending the one-month term of the CD’s rotating presidency has been put forward. But this would be a non-issue if the CD were actually in negotiating mode. This is because the chair of those negotiations would effectively become the CD’s power-broker. The Conference president would then become largely symbolic for the duration of the negotiations. The term of the negotiating chair, unlike the CD president’s, need not be confined to a single month. Whether or not events this August in the CD will shape that body’s future and to what extent the course of negotiations on nuclear disarmament will be forged in the OEWG remain to be seen. But one thing is certain: the outcomes and their security ramifications will both be aired fully in the UN General Assembly later this year.